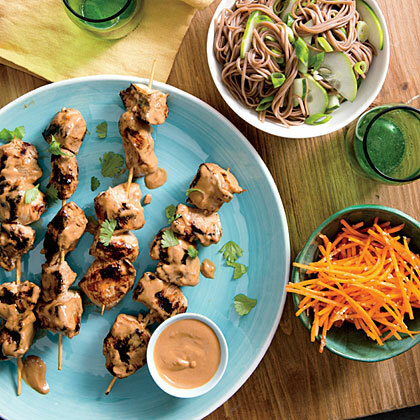 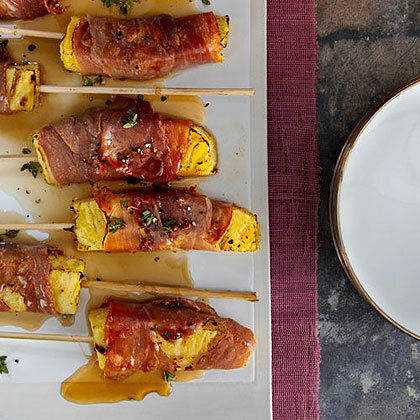 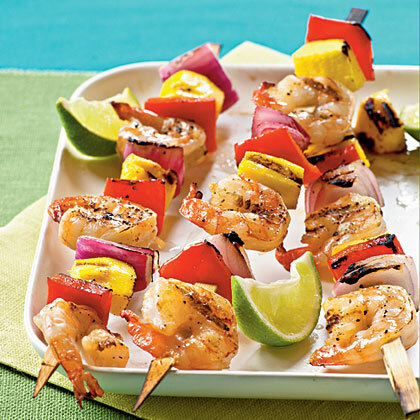 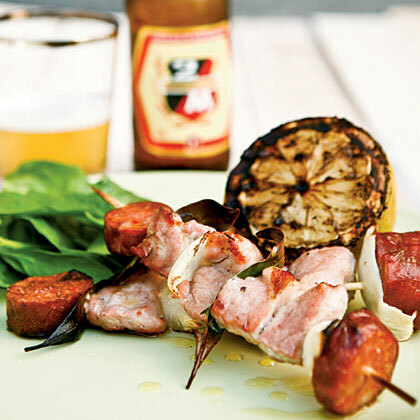 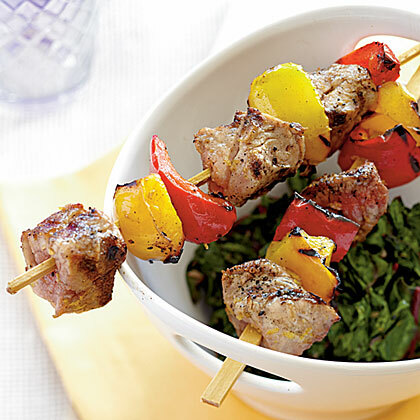 Coming in at under 200 calories per serving, these colorful grilled pork kebabs are perfect for a light picnic on the patio. 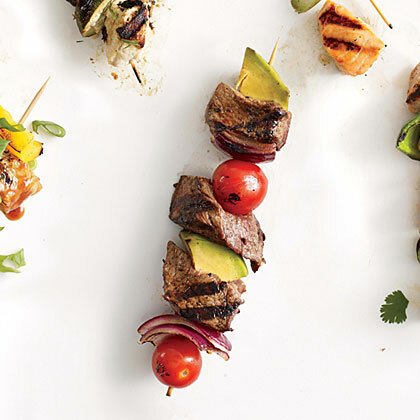 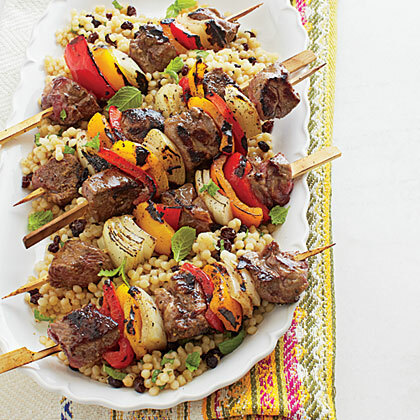 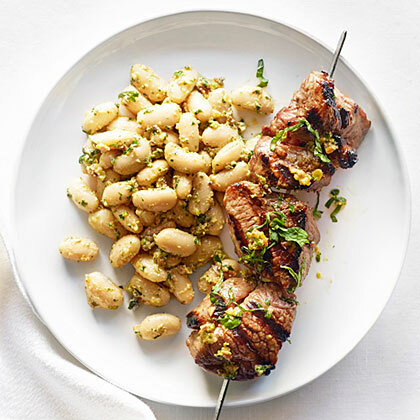 Embrace the flavors of the sun-drenched Mediterranean with these flavorful lamb kebabs. 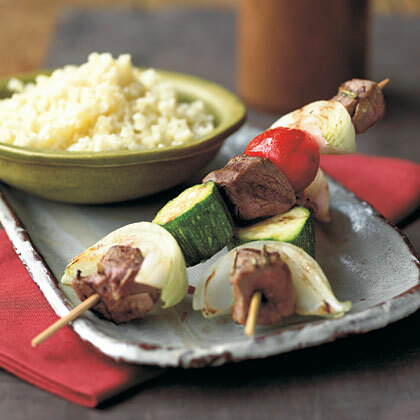 Marinate lamb, zucchini, tomatoes, and onion in yogurt and seasonings, then grill or broil until done, and serve with couscous. 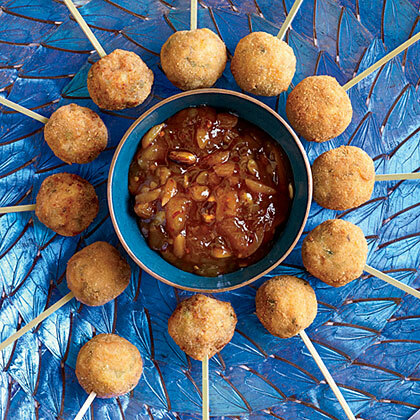 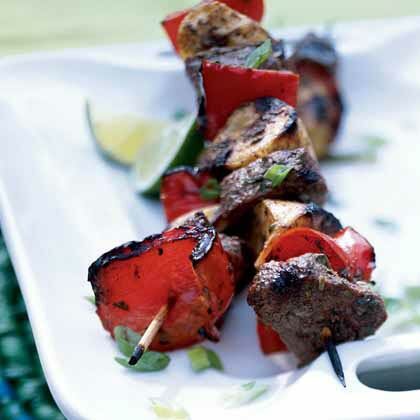 An unusual salsa, made with easy-to-find Middle Eastern ingredients, transforms ordinary kebabs into something exotic. 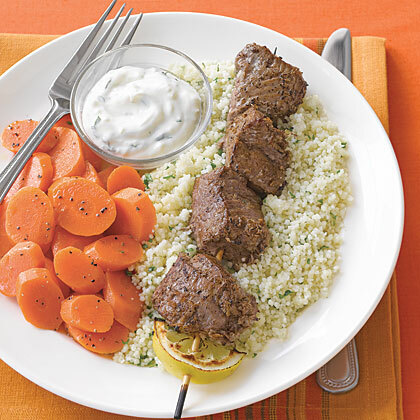 You'll need 4 to 6 metal skewers (10-inch size) for the lamb. 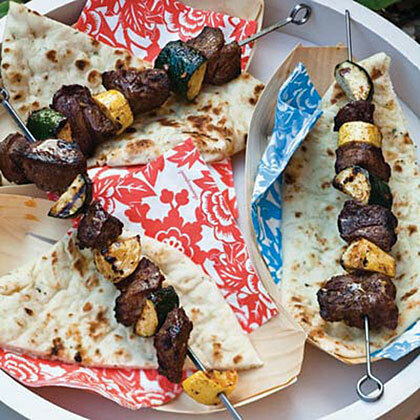 Dinner's a breeze with Seasoned Lamb Kebabs on the menu. 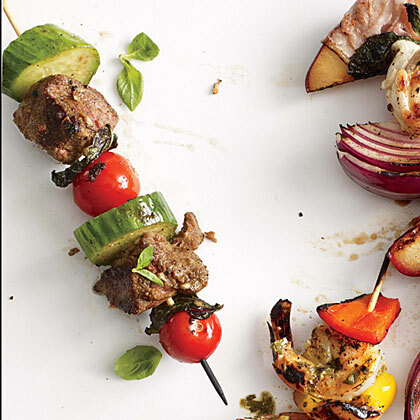 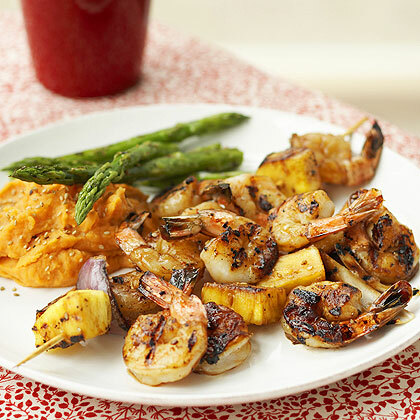 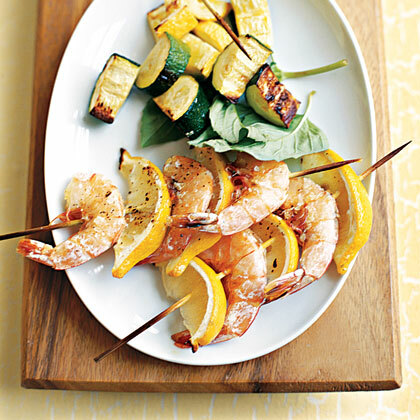 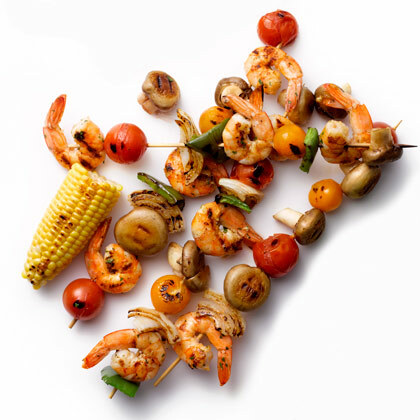 Save time by combining this recipe's bevvy of warming spices in advance, and chop veggies and store them in the fridge until it’s time to make your skewers. 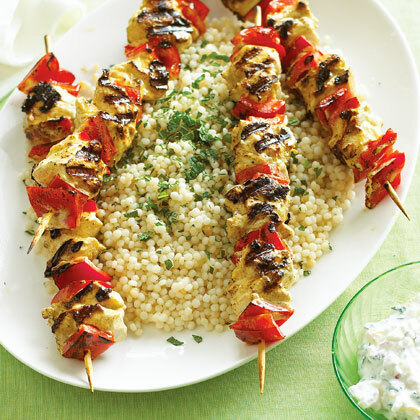 Marinating chicken in yogurt and exotic spices makes these chicken kebabs ultra-tender and unbelievably flavorful.